In distinction to a commercial art gallery, run by an art dealer, the primary purpose of an art museum is not the sale of the items on show. In the second half of the eighteenth century, many private collections of art were opened to the public, and during and after the French Revolution and Napoleonic Wars many royal collections were nationalized, even where the monarchy remained in place, as in Spain and Bavaria. University art museums and galleries constitute collections of art developed, owned, and maintained by all kinds of schools, community colleges, colleges, and universities. This phenomenon exists in the West and East, making it a global practice. Although overlooked, there are over 700 university art museums in the US alone. This number, compared to other kinds of art museums, makes university art museums perhaps the largest category of art museums in the country. While the first of these collections can be traced to learning collections developed in art academies in Western Europe, they are now associated with and housed in centers of higher education of all types. The word gallery being originally an architectural term, the display rooms in museums are often called public galleries. Also frequently, a series of rooms dedicated to specific historic periods (e.g. Ancient Egypt) or other significant themed groupings of works (e.g. the collection of plaster casts as in the Ashmolean Museum) within a museum with a more varied collection are referred to as specific galleries, e.g. Egyptian Gallery or Cast Gallery. Most larger paintings from about 1530 onwards were designed to be seen either in churches or (increasingly) palaces, and many buildings built as palaces now function successfully as art museums. 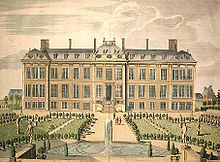 By the 18th century additions to palaces and country houses were sometimes intended specifically as galleries for viewing art, and designed with that in mind. The architectural form of the entire building solely intended to be an art gallery was arguably established by Sir John Soane with his design for the Dulwich Picture Gallery in 1817. This established the gallery as a series of interconnected rooms with largely uninterrupted wall spaces for hanging pictures and indirect lighting from skylights or roof lanterns. In the middle and late twentieth century, earlier architectural styles employed for art museums (such as the Beaux-Arts style of the Metropolitan Museum of Art in New York City or the Gothic and Renaissance Revival architecture of Amsterdam's Rijksmuseum) succumbed to modern styles, such as Deconstructivism. Examples of this trend include the Guggenheim Museum in New York City by Frank Lloyd Wright, the Guggenheim Museum Bilbao by Frank Gehry, Centre Pompidou-Metz by Shigeru Ban, and the redesign of the San Francisco Museum of Modern Art by Mario Botta. Some critics[which?] argue these galleries defeat their purposes because their dramatic interior spaces distract the eye from the paintings they are supposed to exhibit. Many art museums throughout history have been designed with a cultural purpose or been subject to political intervention. In particular, national art galleries have been thought to incite feelings of nationalism. This has occurred in both democratic and non-democratic countries, although authoritarian regimes have historically exercised more control over administration of art museums. Ludwig Justi was for example dismissed as director of the Alte Nationalgalerie (Old National Gallery) in Berlin in 1933 by the new Nazi authorities for not being politically suitable. The question of the place of the art museum in its community has long been under debate. Some see art museums as fundamentally elitist institutions, while others see them as institutions with the potential for societal education and uplift. John Cotton Dana, an American librarian and museum director, as well as the founder of the Newark Museum, saw the traditional art museum as a useless public institution, one that focused more on fashion and conformity rather than education and uplift. Indeed, Dana's ideal museum would be one best suited for active and vigorous use by the average citizen, located near the center of their daily movement. In addition, Dana's conception of the perfect museum included a wider variety of objects than the traditional art museum, including industrial tools and handicrafts that encourage imagination in areas traditionally considered mundane. This view of the art museum envisions it as one well-suited to an industrial world, indeed enhancing it. Dana viewed paintings and sculptures as much less useful than industrial products, comparing the museum to a department store. In addition, he encouraged the active lending-out of a museum's collected objects in order to enhance education at schools and to aid in the cultural development of individual members of the community. Finally, Dana saw branch museums throughout a city as a good method of making sure that every citizen has access to its benefits. Dana's view of the ideal museum sought to invest a wider variety of people in it, and was self-consciously not elitist. Furthermore, certain art galleries, such as the National Gallery in London and the Louvre in Paris are situated in buildings of considerable emotional impact. 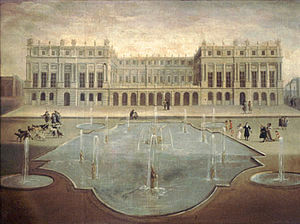 The Louvre in Paris is for instance located in the former Royal Castle of the ancient regime, and is thus clearly designed with a political agenda. It has been argued that such buildings create feelings of subjugation and adds to the mystification of fine arts. Rijksmuseum has 399,189 objects available online, of which 153,309 have one or more images. National Portrait Gallery, with over 185,000 works, including both painted and photographic portraits. Metropolitan Museum of Art, with over 400 separate galleries, each containing several hundred works. MOMA (Museum of Modern Art), with nearly 50,000 works from collections of painting, drawing, print, sculpture, film, photography, and performance art. Fine Art Museums of San Francisco, with over 85,000 works. The steve.museum is one example of a site that is experimenting with this collaborative philosophy. The participating institutions include the Guggenheim Museum, the Cleveland Museum of Art, the Metropolitan Museum of Art, and the San Francisco Museum of Modern Art. The Artists' Materials Center: An applied research organization at Carnegie Mellon University dedicated to helping museums, libraries, and archives improve the ways of caring for their collections. United Kingdom: The Museums Association (MA) is a professional membership organisation based in London for museum, gallery, and heritage professionals, museums, galleries and heritage organisations, and companies that work in the museum, gallery, and heritage sector of the United Kingdom. It also offers international membership. Started in 1889, it is the oldest museum association in the world, and has over 5,000 individual members, 600 institutional members, and 250 corporate members. USA, DC, Washington: Smithsonian Institution, the official national museum, and controlling organization for most major art and cultural museums in Washington, D.C., national museums with major art collections, as well as other national historic and cultural facilities nationwide. The Smithsonian also—directly or indirectly, and through traveling exhibits—coordinates some federal government support of museums (art and other), nationally. Also partners with many museums throughout the United States, each designated as a "Smithsonian Affiliate" institution. ^ Moore, Andrew (2 October 1996). "Sir Robert Walpole's pictures in Russia". Magazine Antiques. Archived from the original on 10 December 2008. Retrieved 14 October 2007. ^ John Fleming/Hugh Honour/Nikolaus Pevsner, Dictionary of Architecture, Penguin Books, 4th ed. 1991, s.v. Gallery. ^ "People & Portraits – National Portrait Gallery". www.npg.org.uk. ^ "Databases | Louvre Museum". Louvre.fr. Archived from the original on 7 October 2011. Retrieved 16 June 2012.